What do small mammals have to do with restoring grasslands for butterflies? It may not seem very intuitive at first, but there are several reasons that led to the development of a small mammal study on the Oregon coast linked to the Oregon Silverspot butterfly, a federally threatened species. First, a substantial amount of time and resources have been spent over the last two decades to bring back declining populations of Silverspot butterfly. However, in spite of these efforts, the butterfly population is now almost exclusively reliant upon releases of captive zoo populations to the wild for survival. Second, rather than focus solely on specific habitat needs of the Oregon silverspot butterfly, managers are starting to switch gears and become more focused on restoring the broader grassland ecosystems that not only can support butterflies, but also the myriad of other species that use these grassland systems. That's where small mammals come in. Small mammals can serve as important indicators of the overall health and function of ecosystems. Collectively, they disperse fungi, consume invertebrates and the fruits and seeds of numerous vascular plants, and can influence patterns of plant regeneration. They also serve as prey for diverse predators (e.g., owls, hawks, weasels, and snakes) and can influence predator distribution, habitat use, and reproductive success. Most small mammals occupy the same, relatively discrete, patch of habitat year-round. They can also respond rapidly to management activities like thinning, burning, and planting of trees, shrubs, and grasses. This makes small mammals ideal for measuring the effectiveness of restoration activities on the broader ecosystem. Third, there may be an indirect, but very important, link between small mammals and Oregon Silverspot butterflies. The reason is that small mammals like to burrow tunnels and overturn soil in search of food and shelter. Not only does this help mix organic matter into the soil, it also creates small patches of freshly disturbed soil. Fresh soil is exactly what the native early blue violets seeds need to reproduce. And these violets are required for several life history stages of the silverspot butterfly, including serving a substrate for laying eggs, and serving as the primary food source for butterfly larvae. The small mammal project started in 2014 and the project is now in its fourth year. Methods include distributing live traps in a grid pattern, trapping for a two-week period at each site, then handling, adding ear tags, and releasing individuals captured in traps. So far, 16 species of small mammals have been detected, including mice, voles, shrews, chipmunks, and ground squirrels. Preliminary results suggest several trends. First, relatively good small mammal abundances and diversity can be found in grasslands that include a good mix of native grasses and forbs. 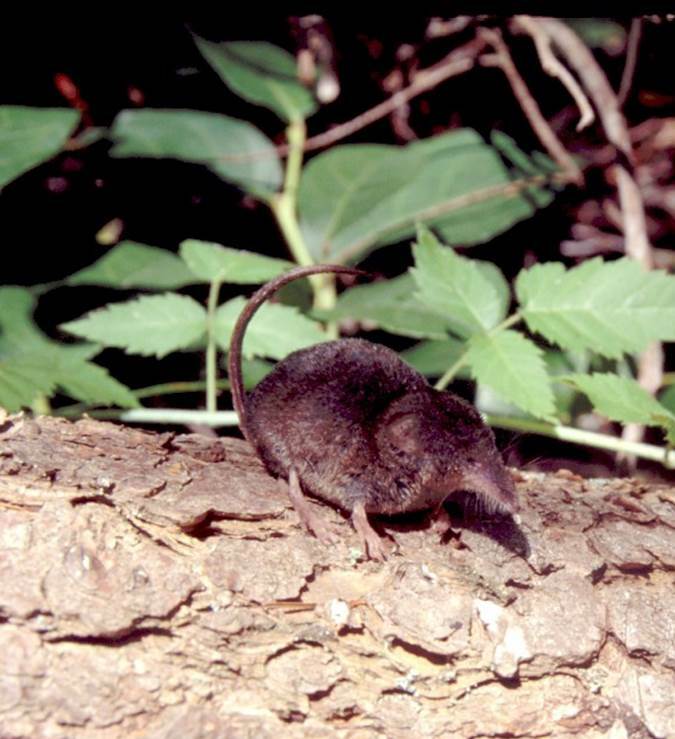 Second, areas dominated by non-native grasses support few individuals, and often consist only of one species (a shrew that feeds on insects and other invertebrates like slugs). Third, early evidence suggests small mammal abundance and diversity can increase in response to grassland restoration within 2-4 years of treatments, including planting and burning. Current goals for the small mammal study are to continue sampling sites where restoration activities are taking place, as well as looking for new grasslands to add to the study that have different environmental conditions than the sites currently being studied, such as different proportions of native to non-native plants, different elevations, and different management activities. This will help broaden the overall inferences of the current study which can help develop and strengthen best management practices for these coastal grassland ecosystems. ‍Todd Wilson has worked as a wildlife biologist for the US Forest Service, Pacific Northwest Research Station since 1991. Most of his research has focused on small mammals, studying everything from shrews to tree squirrels. Both his Master's and Ph.D. degrees focused on understanding the ecology of flying squirrels in the Pacific Northwest.